Recently, the Florida State Senate received a proposal that would require new insurance requirements for drivers working with any app-based transportation network companies such as Uber and Lyft. This proposal is in consideration so that victims of auto accidents are able to receive compensation. The bill would also protect the party at fault from financial collapse. However, though the model behind ride-sharing provides a relatively straightforward solution, the potential demand for self-driving cars produces a tougher problem for the insurance industry and legislators alike. If two drivers of traditional cars get into an accident, the personal insurance policy of the party at fault will cover the property and bodily damages sustained by the victim. But what happens if the at fault vehicle was being operated by a computer? According to a recent Business Insider report, approximately 10 million cars will be equipped with self-driving features by 2020. If this prediction in fact does come true, the bill is complicated, and a liability issue solution will need to be proposed. According to Marc Mayerson, a lawyer and adjunct professor of Insurance Law at Georgetown University, "somehow or another we need a mechanism to allow for compensation from auto accidents." He also explains: "In theory, self-driving cars would not create negligence liability for the passenger, non-driver, and owner of the car." Liability coverage consumes a considerable part of auto insurance bill for most people. The cost of repairing physical damage on your own vehicle is a minute compared to the high risk of paying hospital bills or court fees when you injure another driver. In states like Florida, requirements similar to laws for ride-share insurance requirements have existed as early as the 1920's. For example, in California, drivers are required to carry at least $15,000 in bodily injury coverage per person, and $30,000 per accident. Plus, the state mandates a minimum of $5,000 property damage coverage. If you take liability out of the equation, personal auto insurance premiums for owners of self-driving cars would likely become much lower. But who would carry the bill for liability? Mayerson suggests that "one model would be to have the car manufacturer bear all the liability and impose that liability simply based on the autonomous car's being a substantial cause of the injury." If an accident resulted from the computer's malfunction, it's reasonable to assume that the fault would then point back to the manufacturer. However, insurance costs being handed down to automakers isn't really beneficial for consumers. If car manufacturers face increased operating costs as a result of liability concerns, they may decide to make up for that by driving up the price of the vehicles. So while autonomous vehicle owners could save money on their insurance policies, the cost may end up trickling down to the price on their new car . What if you don't purchase a self-driving car? According to the Insurance Information Institute (III) even if you don't plan on getting one, all consumers are likely to financially benefit from self-driving cars. If self-driving cars do in fact make roads safer, insurance companies may need to consider lowering their premiums across the board. If a company wants to raise rates in a particular state by the current auto insurance pricing model, they are required to submit a proposal with the Department of Insurance. Increases to the base rate are required to reflect legitimate reasons. For instance, if there is an rise in claims that cause companies to shell out more benefits, they may need to raise rates to account for their losses. As the roads become safer, hypothetically, insurers will pay out less in claims, and their traditional ability to justify increasing prices will be restricted. Additionally, safer road conditions may also lead to a decreased demand for auto insurance. If this is the case, insurers would need to revisit their pricing accordingly, and potentially lower the cost of their policies across the board. Insurance will be around in one form or another as long as Americans own cars. 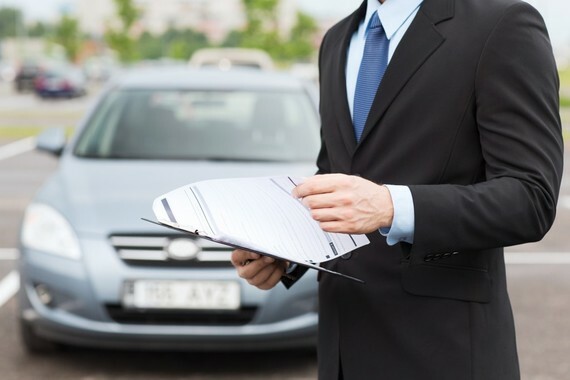 After all, most consumers value their vehicles, and will thus want to insure it so that they are compensated or protected in the event of a theft or accident. Owners of autonomous cars and traditional ones will likely still need to compare quotes across different insurers if they wish to save money - even if liability is not part of the equation. For example, in a study of cost in California, the average auto insurance quote from the cheapest company cost nearly half the price of the most expensive one. Factors like market share and claims experiences will always cause differences among issuers, as they price various products based on their ability to remain competitive in the space and maintain sustainable operating margins.